In the event that a delivery is not made by the time SCP-1234 enters active phase, mass distribution of amnestics to the civilian population is authorized, and Procedure Queen-of-Hearts may be enacted, as necessary, at O5 discretion. 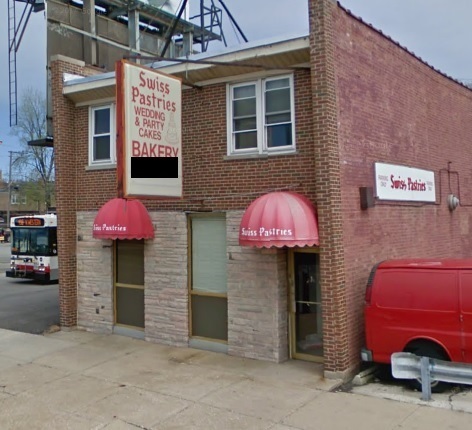 Description: SCP-1234 is the former premises of "Schmidt's Swiss Pastries", a bakery and tea room that operated in Chicago, IL from 1947 to 2003. The interior of SCP-1234 remains fully furnished and possesses working electricity, hot and cold running water, and natural gas. SCP-1234's ovens and kitchen equipment remain fully functional, though appearing to be in a severe state of disrepair due to age and neglect. All attempts to remove or disconnect SCP-1234's kitchen equipment or utilities have been unsuccessful. SCP-1234 will become fully active within no more than 36 hours of the commencement of the warmup phase. To date, active phase has always initiated between the hours of 23:00 and 03:30 local time. Once fully active, SCP-1234's windows become fully opaque, all doors and windows become completely impenetrable, and all monitoring equipment located within SCP-1234 ceases to function. All attempts to enter SCP-1234 during an active phase have failed and no persons inside SCP-1234 when an active phase commences have been found alive at its conclusion. On 17 occasions since observation began, instances of SCP-1234-1 have been found outside SCP-1234 following conclusion of active phase. On all such occasions, the pies were found on the shelves of supermarkets, convenience stores, and other food vendors within a 5km radius of SCP-1234, and had been labeled with a UPC readable by the vendor's point-of-sale system. No determination has been made as to how the pies were transported from SCP-1234 to the locations where they were found. Foundation containment of SCP-1234 began in 2006, following several reports of dozens of persons and animals disappearing within the downtown Chicago area. Local police traced the disappearances to the neighborhood in which SCP-1234 is located. Upon noticing an unusual scent emanating from the abandoned storefront now identified as SCP-1234, police breached the front door and discovered approximately 7,300 instances of SCP-1234-1 within, many of which were several months old and had spoiled. When police attempts to determine the identity of the persons responsible reached a dead end, a police liaison contacted the Foundation, which assumed jurisdiction and, following an additional event which resulted in several more disappearances, placed SCP-1234 under containment. Interviews with persons who worked at SCP-1234 prior to 2003, and with the previous owners of Site 602, stated that the cause of its closing abruptly in April of that year was not known to them and that they had never observed any unusual or anomalous events occurring within the property prior to 2006.